Clients so often ask me for help choosing a camera. I totally get it. There are SO MANY options out there and it's really hard to know what to pick. Especially if you don't know much about cameras. So I thought I would take a minute to walk you thru choosing a camera (and lenses!) 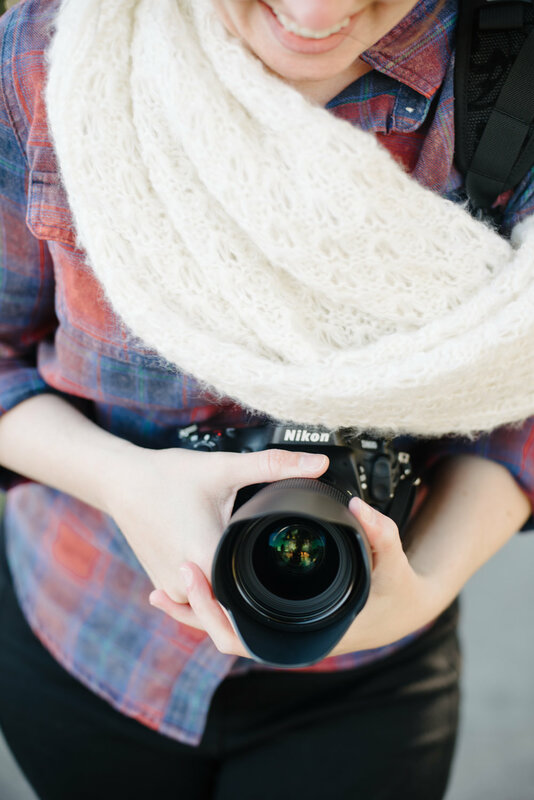 to fit your needs, and follow it up with some entry level DSLR recommendations. First, you have consider your needs for a camera and lens. What kind of pictures do you want to take? Of whom or what do you want to take pictures? Do you want room to grow and learn more about photography? What is your budget? If you just want something that fits in your back pocket for snapshots, well...to be honest, you can stop reading this article. I don't know much about point and shoot cameras. However, if you want to capture portraits of your babies with that nice blurred out background and start to have more control over the images you produce, you don't want a point and shoot camera. You want a DSLR, which stands for digital single-lens reflex camera. Simply put, a DSLR is just a camera that uses mirrors and interchangeable lenses to give the camera operator more control over the final image. They also offer a better image quality and response time. Do I like the ergonomics? This is the way the camera feels in your hands and at your eye, and your ability to maneuver the dials and buttons easily. Pay attention to anything that annoys you. Are the controls for changing aperture, shutter speed, and ISO intuitive for you? Maybe you don't yet know what these terms are or why you would want to be able to manipulate these variables. If that's the case, ask a staff member to show you how to make those changes and take note of any maneuvers that feel clunky or are not intuitive. Story time: When I went to buy my first DSLR, I felt pretty sure I would go with a Canon and went to Best Buy to test drive it. I couldn't for the life of me figure out how to change the aperture. I picked up a Nikon D40 and was able to figure out how to change all three variables in seconds. That small matter made me a Nikon user, and I haven't looked back. This is really the decision between a traditional DSLR and a mirrorless DSLR. Mirrorless DSLRs are smaller, lighter, and easier to travel with. For me that translate to being more apt to taking the camera with me. However, some of the controls are internal (or done via the menu on the LCD screen), which often frustrates me. Traditional DSLRs are larger and heavier, but the controls are external. I find external controls easier to use, which means I am less likely to use it in auto mode when I do take it with me. You'll notice when you buy a DSLR, it comes in a two piece kit: the body and a lens. The body is the part of the camera with all of the controls and the LCD screen. The lens that typically comes packaged with the body is generally referred to as the "kit lens". What you might not know is that you can (AND SHOULD!) buy camera body only. Sure getting a zoom lens with your body may sound like a great deal, but it really isn't. While the kit lens isn't total junk, it won't get you the more professional looking results you are probably looking for. Once you learn about and purchase the lenses that do you will NEVER use that kit lens again. The first thing to consider when choosing a lens is the focal length. Think back to what you are wanting to photograph. If your primary objective is to capture some great portraits and candids of your kids and family (and I am going to assume it is), I recommend starting with a focal length of 50mm or 35mm. Personally, I am a big fan of the wider field of view that the 35mm provides. This allows me to stay closer to my kids in public spaces and be able to frame the shot I want in tighter spaces where I can't physically back up further. The next thing to consider is the maximum aperture of the lens. The aperture is the opening in the lens that lets light into the camera. The smaller the aperture number (also called an f-stop), the bigger the opening in that lens can be. Aperture also controls depth of field. Depth of field is how much your scene is in focus. The smaller the f-stop, the bigger the opening, the less depth of field. This means that when you shoot at an aperture with a low number (1.4, 1.8, 2...) less of your scene will be in focus. Which is how we achieve that nice blurry background (called bokeh). I know, that is a super fast overview of some really confusing technical information. But this article is long already, so I am going to stop there. Suffice it to say, that some zoom lenses (like the kit lenses) sport a variable maximum aperture (The aperture on kit lenses typically ranges from f/3.5-f/5.6). This means that the maximum aperture changes depending on how far in or out you zoom. These lenses make it pretty hard to get nice bokeh and, if you are shooting in manual mode, make exposing correctly super frustrating. (Hence why I advocate buying a body only over the kit.) The other options is a fixed maximum aperture. Zoom lenses with a fixed aperture tend to run over $1000, so the best option for someone just getting started is to pick up a prime lens like the 50mm or 35mm. Prime lenses have both a fixed focal length (it doesn't zoom) and a fixed aperture. Now that I've glossed over the how to's, I'll get to what you really came here for. The camera advice. I'm linking up my picks for 2017's best budget friendly cameras for Nikon, Canon, and Sony that will allow you to start getting the more professional looking results you want. I'm also providing links to the lenses I suggest starting out with over the kit lens. In my opinion, Nikon's ergonomics are superior to Canon's. People say that Nikon was built by photographers while Canon was built by engineers, meaning Nikons are typically more intuitive and easier for beginners to use and learn. They also tend to have an edge when it comes to the metering and auto focus systems, which impacts whether or not your photos come out properly exposed and in focus. Nikon also seems to have a better compatibility with off brand lenses. I LOVE Sigma's Art lens line for my Nikons, and I frequently hear about problems that Canon users are having relating to those lenses. Here are my recommendations for a lens to go with this (or any other) Nikon body: Nikon AF-S FX NIKKOR 50mm f/1.4G $396.95, Nikon AF-S FX NIKKOR 50mm f/1.8G $216.95, and Nikon AF-S DX NIKKOR 35mm f/1.8G $166.95. One caveat on the 35mm lens listed. This lens only works on a DX body. If you are buying a full frame (or FX) camera body, make sure you only buy lenses with "FX" in the description. FX lenses work on both DX and FX bodies. If you know you will want to upgrade to a full frame camera eventually, I recommend getting the Sigma 35mm F1.4 Art DG HSM lens for Nikon $899. Pricey, but well worth it! Not being a Canon shooter, I really can't tell you a whole lot about the line. I'm relying on reviews I have read. I can say that Canon's entry level bodies always seems to be more expensive than Nikon's, but this one packs some nifty features like an articulating touch screen, an excellent live view auto focus system, and 4K video. One huge point for Canon is that, in general, they have a wider variety of lenses and that are usually less expensive than their Nikon counterparts. Here are my recommendations for a lens to go with this (or any other) Canon body: Canon EF 50mm f/1.4 USM $329, Canon EF 50mm f/1.8 STM $127.50, Canon EF 35mm f/2 IS USM $549. Sony's A6000 is a mirrorless DSLR that was first released in 2014. While there are newer iterations of this camera, my research clearly suggests that they have not been improved enough over the A6000 to justify the crazy difference in price. This thing is super light compared to traditional DSLRs and I have been seriously considering picking one up for my own personal use. Well known photographer and gear product guru, Gary Fong has a fantastic video class on this camera and all it can do. It's over an hour long, but really great insight if you are interested in buying and getting the most out of this little power house. Click play on the video below. My lens recommendations for this camera are: Sony SEL50F18 50mm f/1.8 $298, Sony SEL35F18 35mm f/1.8 $448, and Sony SEL-20F28 E-Mount 20mm F2.8 $348. Whew! It's hard to pack in the information I think you should know, without getting too technical for the parent that's really new to photography. I hope this was helpful without being too overwhelming. If you have any questions, please comment. And if you are interested in learning more about how to use that fancy new camera to get better photos of your kids, I have a Mom Workshop coming up in January. There are only 10 seats available, so click here to snag your spot! Special thanks to Rae Marshall Photography for the picture of my and my Nikon.